While people vigorously work on the ways to start and improve a business, there is a need for all of us to know the exit strategy of a business. It might sound weird that there is a strategy to exit a business. But I would say it is as important as building an enterprise. Looking on to the reasons for exiting a business, there are two major divisions. One is the inconsistent profits that makes your business less valued in the market and the other one is the decline stage of the product. Both these reasons will force you to exit the business where in the situation will lead you to dissolve the business. It is hard to find buyers who can develop the business that has already reached the decline stage. You might attempt to make a progress in the business by involving few improvement strategies, but there are high chances that you will also be put back to the same scenario as the previous one. Contradicting this negative scenario, there is a case where exiting could be a lucrative choice as well. Yes, you heard it right. It is one of the ways in which a businessman expedites the income progress at the same time your business stands in the market. You will be knowing about it in detail in the following sections. What is the right time to exit? Exiting strategies are of no use is they aren’t done on the right time. Firstly, understand the business you are doing. This covers all the areas like income, expenses, demand, supply, popularity, rating given by your clients or customers. Once you clearly know all these, you can make a move for the choice of exit strategy. There are certain areas where a number of businessmen make mistakes while picking the right time of exit. Some of the possible relatable situations are as follows. A businessman who has recently started his business, should wait for the true output from it. Here is where the problem initiates. A lot of people do not understand or give time for their business to prove itself. Success doesn’t come to you overnight. It takes time for every business to attain a firm position in the market. If you do not make an attempt to wait for it, then your decision of exiting the business is the one which makes your business unsuccessful. The next scenario is about a businessman who exits his business due to uncertain profits. This is a huge mistake one could do because of poor planning of the pricing strategies. If you find any black dot in the profits, try resolving it through feasible techniques. Make it possible to reach higher profit percentages by cutting down your costs. This doesn’t mean that you have to keep trying. Exit decision should be chosen when you feel you have no chance left to make a progress in the business. You might wonder as to how this point of exit is identified. It is as simple as evaluating your strengths and weaknesses. It is your business and you should be clearly assessing the opportunities that you have. With this, proceed with the decision of exiting the business. The two situations explained in the previous points can be taken into consideration if you are planning to exit because of certain unfavourable conditions in the business. There are intelligent ways of earning huge income at a shot by selling your business which is doing great in the market. You will find a number of buyers competing to buy your business. Coming to the common errors made by people at such a situation, it is due to haste things go wrong. A planned businessman who wants to sell his business in the market because it is doing well, should be patient enough to bring it to such an eligible position. Some people do not understand this and they rush to sell their business which is averagely rated. In the end, you lose the chance of selling your business for a higher amount. So, after working on the reasons for exiting and the other related sub-topics, let us move forward to know about the different strategies of exit. The following are some of the most famous ways of exiting. Initial Public Offering is a strategy where you offer the shares of your stock to the general public. The amount each share holds on selling will be a factor of pooling in large amounts of cash. The advantage of choosing IPO as an exit strategy is that the cash realisation process happens in a very short period of time. Also, the magnitude of cash that is realised is extremely high compared to other ways of exiting. However, there is are only few notable companies who chose this method of exit. This is because, the process requires a lot of planning and execution which will ultimately result in huge investment of money. Being an expensive process of exit, the occurrence of such an exit is rare. To make this clear, let us verify it with records. It is needless to mention the number of companies in the United States. Out of such a huge quantity, only 222 companies opted for Initial Public Offering strategy for an exit. Now, this number is more than enough to prove the previous statements. 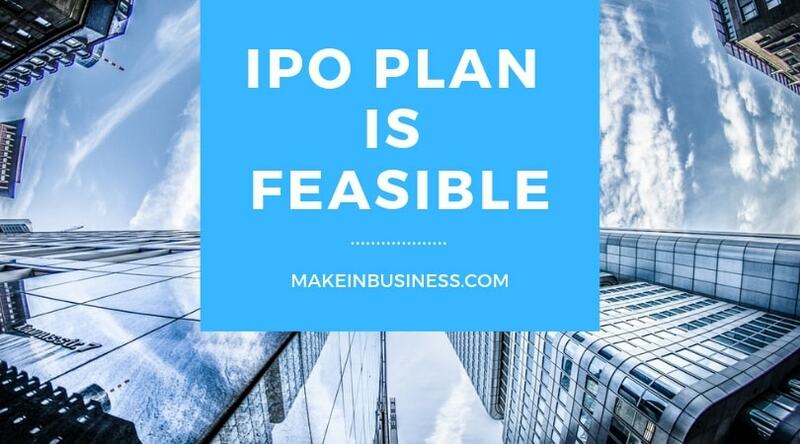 One important point to consider here is the companies for which IPO strategy is feasible. From my research, I infer that this particular strategy cannot be applied for a start-up. This is a one 50% similar to that of the strategy of IPO. Both the strategies reveal the ways of selling any integral part of the company. In liquidation, the assets of the company which are unpledged are sold. Liquidating these assets will realise a very good amounts of cash. The cash that is obtained is initially used to complete the debts. Your creditors will be paid and then the rest of the money will be divided among the shareholders. Thus, the process is comparatively easier than others. Liquidation is not decided by a company at the very start itself, it comes to the scene only when the owner thinks that the company is not doing well. This type of exit takes a positive side. Of course, the other strategies too make a positive outcome by realising money. But this strategy makes it more lucrative. Mergers and Acquisition strategy is chosen by a start-up. I should call it as the objective of start-up company. This is because, the owner of the start-up company will have dreams of being associated with the mass businesses of the market. So, if the start-up makes a very good performance and has the capabilities of being bought by the mass companies, then the dream comes true. In this strategy, the buyer of the company takes up the power and control. However, there is still a chance for the owner of the start-up to be a part of the sold company. The owner will be a part of the day to day operations but will not own the powers and controls over the company. Here comes the easiest way of exiting a business. If you have found that your business is not doing good or it has touched the verge of exit, then you can discuss about it to your family members or close friends. They might be interested in developing it from the position you gave them. A business exit happens majorly due to inability to manage it in the coming future. Thus, anybody with stable financial background could be chosen to sign a deal. Also, when this type of exit takes place, there are less chances of being involved in legal procedures. Other idea to find buyers from various parts of the location is to publish the selling offer on a business portal. There are several portal available which acts as a hub for buyers and sellers of business. Here, the chances of selling are high as the reach is easier. An exit decision is undoubtedly chosen by the owner of a company after clear analysis of the state of the business. However, as a checklist there are few elements to be considered before the final take. The very first check should be made on the objectives of the company. During the start of the business, the business plan would have definitely been drafted with the objective in it. The pre-set objective may be profit centric or settlement centric. Thus, going to the back and verifying it is important. Clarity in the decision made happens only if the decision made matches with the objective that was set already. Next check is for the time within which the exit plan of the company is executed. 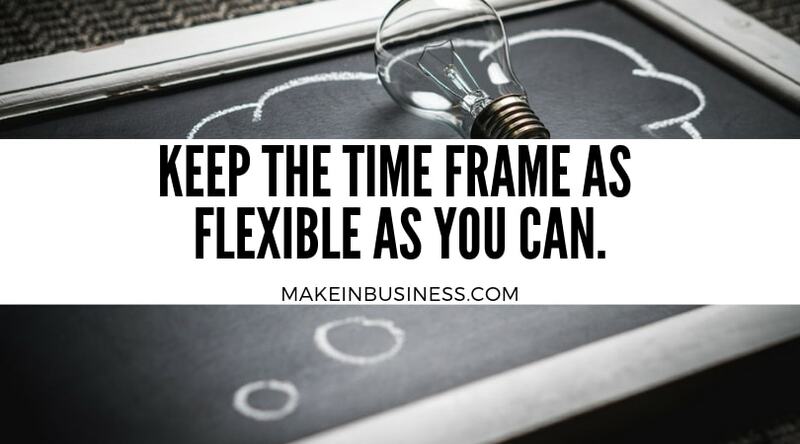 I would suggest you to make have a very flexible time frame in an exit plan. This is because, you are selling the firm you built. It is absolutely a complex and tedious task to build an enterprise. Thus, the amount which you realise on selling should be in such a way that it pays what you have put in. Having a rigid mindset of selling the business in a stipulated time will never help you. It is only a loss and not a very appreciable exit if the time frame is not made favourable to you. Going over and over the same time frame exactly means the time you will have to give for negotiation. Give yourself the time and space while you make a deal with any buyer. Rushing to sell the business will end up revealing two things. One is the low-valued worth of your business and the urgent need for money form your side. In the end, I strongly pin a point here by telling you all to keep the time frame as flexible as you can. A number of exit strategies are available for any business. Each of them has a different way of execution, expenses, control, and outcome. Outcome may produce two different scenarios. Dissolving the business certainly means demolishing the entire unit. Whereas, the second option allows only for the transfer pf ownership and not the complete disappearance of the business. A business dissolves his business only if the financial position of the businessman as well as the business stay below average. It is done to satisfy specific financial obligations. Assets as we all know, are not the tangible ones alone. intangible assets can also be a part of the selling process. Assets like brand, market value, customer database, demand for the product are all considered by buyers while choosing your business. Here the amount at which you sell your business shoots up due to the intangible assets you possess. In the exit plan proposal, make sure you provide the buyer with information on these intangible assets. It is found that buyers get attracted to the value the intangible assets hold than the value owned by the intangible assets. The situation also gives you a chance to make the negotiation process easier. The worth of the business is well established by the intangible assets and it leads to competitive bargaining among your buyers. In the end, you will be able to make the maximum out of the selling phase. Coming to the last part, it is thus important to gain knowledge about the exit plans too. Exit plans can deliver the desired results only if planning phase is successful. 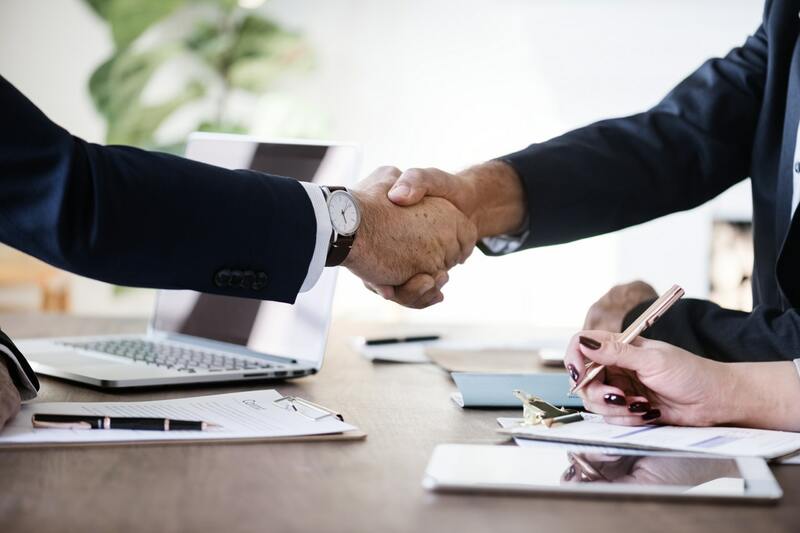 The outcome of dissolving a company for clearing creditors or the outcome of further growth of a business should be achieved depending on the strategy you choose. To be sure of the outcome, analyse every single move of your business and choose the most appropriate and feasible strategy.